M/S BIBIANA is open during weekdays from 2pm-5pm and in the weekend from 10am-5pm. Notice that we’re closed during the sailing days. 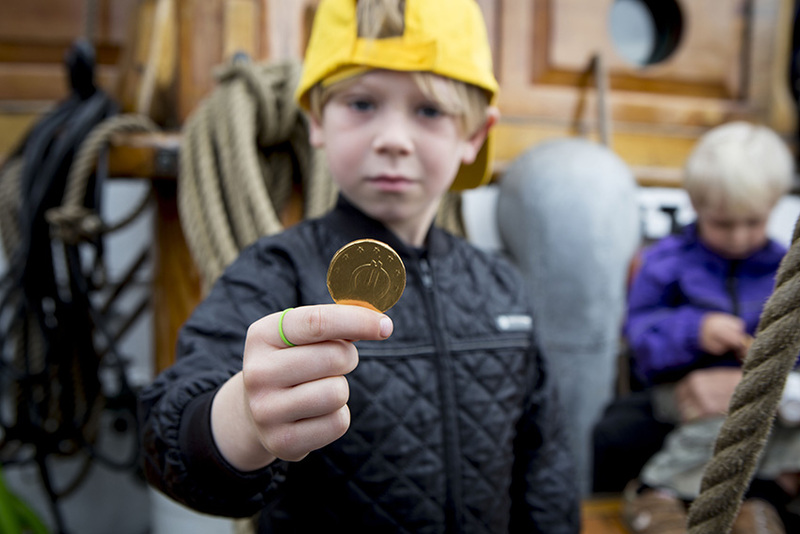 The school classes visits the ship fra 9am-2pm i the weekdays. If you want to know when the ship is visiting your city, look at the sailing plan. It is free for everyone to visit M/S BIBIANA. You have til book one of out free courses, if you want to visit M/S BIBIANA with you school class. Read more and book a course here. Due to a lack of crewmembers, and because we have school classes visiting the ship until 2pm, we cannot meet daycare institutions during these hours. You are more than welcome after 2pm! Unfortunately it is not possible to board the ship with a baby carriage or a wheelchair. Leave the gold coins at home!